Its a bit surprising that we haven’t discussed any Sinn watches on worn&wound yet. Sinn is a watch company that offers wide variety and incredible consistency in their line of timepieces. 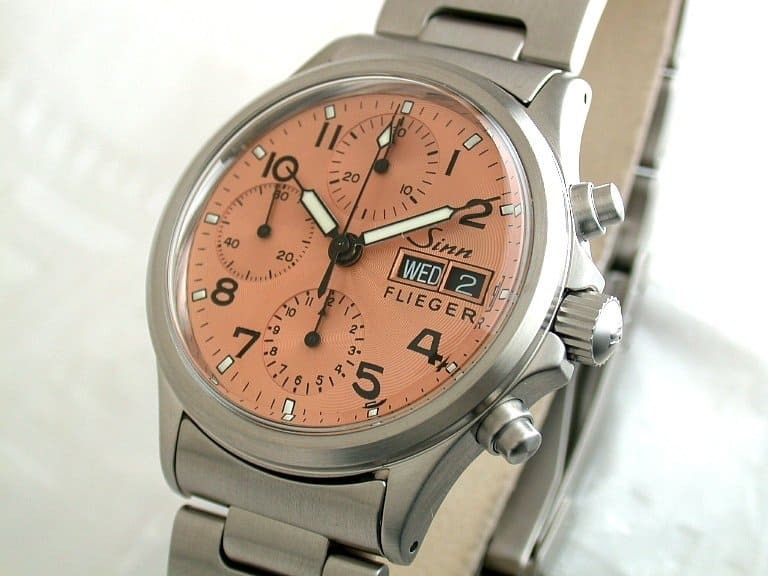 And while there are many watches in their current line-up that are lust worthy, the 356 Flieger II in Copper tops the list of Sinns that I want in my collection. The 356 Flieger II is an outstanding example of a classic aviation chronograph. The clean type on the face, elegant hands and simple lines of the case give the 356 a universally appealing look. But what really puts the 356 above other high-value aviation chronographs, for me, is its stunning copper face. This bold touch of ornamentation gives the 356 an incredibly unique look. Without having the 356 in front of me, I can’t say with complete confidence, but it appears as though the finish of the copper is rather dynamic, appearing matte in certain lights and angles, and pearlescent in others. The patterned finish of the 356 also adds to its character. The Sinn 356 Flieger II can be yours for just over $2,000 from watchbuys.com.